Scott Schaeffer started his directing odyssey as a PA on the streets of New York. He worked on projects such as Analyze This and The Sopranos, which is where he became an Assistant Director. He then decided to move to Los Angeles to pursue his directing career where he was fortunate to work on more hit TV shows as an AD (Big Love and True Blood). In 2011 Scott directed, wrote and produced the short film The Carrier, staring Anna Paquin, Rita Wilson and Chad Michael Murray. 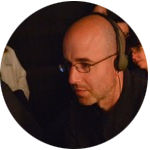 Scott then directed 2nd unit and an Aerial Unit on HBO’s Enlightened and The Newsroom. From there he went on to direct webisodes for NBC’s Parenthood called Friday Night at the Luncheonette. Because of the success of the webisodes, Scott was asked to direct an episode of Parenthood which marked the beginning of his television directing career.